6" x 6" Oil on Canvas $55. 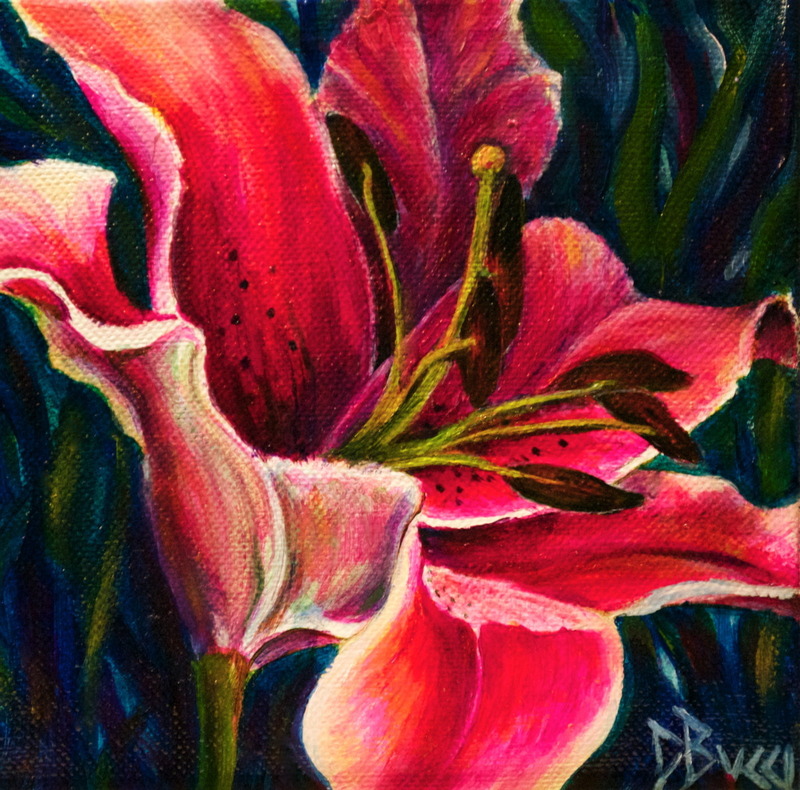 Deb's thoughts: Intense colors and flowing lines, this little flower will brighten a gloomy corner. This was the prototype for "Embrace the day" which is with a private collector.